Here's the star of the film Jake Gyllenhaal & Eminem, who wrote the soundtrack, inside the cinema. 14. 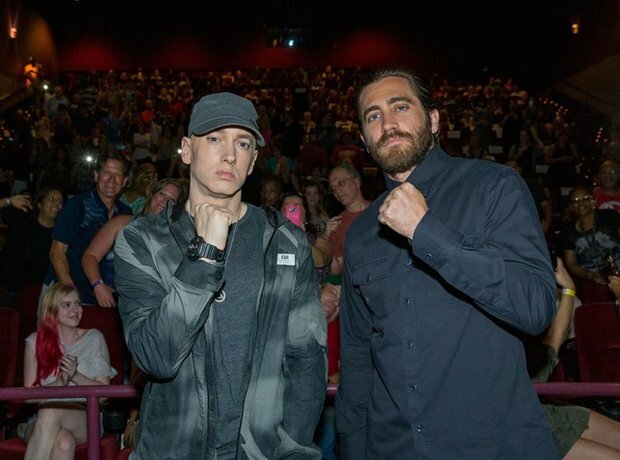 Here's the star of the film Jake Gyllenhaal & Eminem, who wrote the soundtrack, inside the cinema.